3/27/2016 – KIRTLAND AFB, New Mexico — The Women’s History Month Observance is in full swing at Kirtland. The observance, initiated in 1982 to commemorate the instrumental roles women have played in history of the United States, has served locally to highlight the struggles and strides made by women in the Air Force. 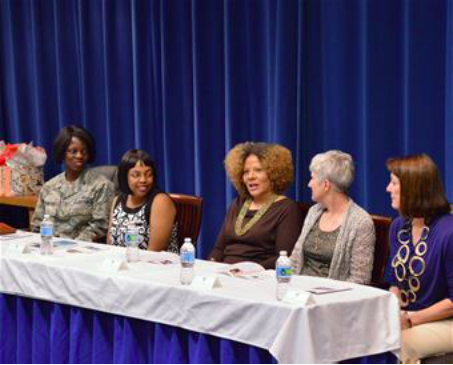 Five women making their mark at Kirtland and in Albuquerque discussed their own journeys at the Women’s History Month Leadership Panel March 24 at the Wing Presentation Center here. Col. Gail E. Crawford, Tech Sgt. Shadonna McPhaul, Yvette Kaufman-Bell, Jeanne Marquardt and Christine Glidden were chosen for the panel due to their experience in positions of leadership. The audience members appreciated the chance to glean knowledge from the leaders’ experience. “The key message I have taken from today’s panel is affording everyone the same and equal opportunities to show their skills and talents,” said Senior Amn. Julian Salazar, a paralegal with the 377th Air Base Wing Legal Office. 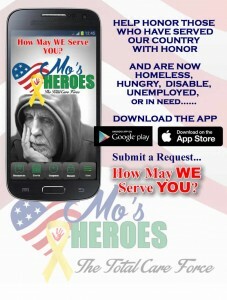 The mission of Mo’s Heroes is to provide services to assist in reintegrating homeless veterans into meaningful employment within the labor force; and to stimulate the development of effective service delivery systems that will address the complex problems facing homeless veterans. Copyright © 2015. MO's HEROES INC. All Rights Reserved.